Visiting Eastern Africa Standby Force (EASF) Director, Abdillahi Omar Bouh, yesterday paid a courtesy call to the Inspector General of Police (IGP) Emmanuel K Gasana and discussed enhanced cooperation through capacity building. EASF is one of the five regional forces for Peace Support Operations (PSOs) with multidimensional components that consist of military, police and civilian components. 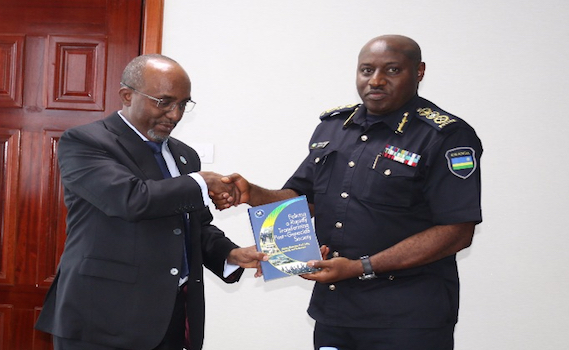 Part of Bouh’s meeting with IGP Gasana also tackled on the progress of preparations of a regional field training exercise that will be held in Port Sudan, in Sudan next month and expected to draw participants from 10 member states of EASF. Following his meeting with the IGP, Mr Bouh headed to the Police Training School (PTS) in Gishari where he toured the peacekeeping training Wing that has so far offered peacekeeping trainings to hundreds of police officers from different countries through the support of different entities including EASF. Bouh was also interacted with police officers pursuing a Training of Trainers at the Peace Support Operation (PSO) Wing at the school where he witnessed a demo on public order maintenance. EASF consists of military, police and civilian components and mechanism to provide capability for rapid deployment of forces to carry out preventive deployment, rapid intervention, peace support and peace enforcement. Its mandate is to enhance peace and security in the Eastern African region. 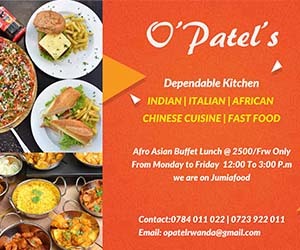 Ten member states that form the EASF are; Rwanda (the current chair), Burundi, Comoros, Djibouti, Ethiopia, Kenya, Seychelles, Somalia, Sudan and Uganda.